Those who have rented a car generally listen to the agent on the basic insurance coverages and sign their initials "here, here and here." Rental agreements contain any number of fine-print paragraphs that should at least be passably understood, a prudent practice anytime a company requests initials, signature and credit card. If any damage occurs to a rental car, the renter would be held responsible unless CDW was purchased beforehand. This coverage is also referred to as a Loss Damage Waiver (LDW). With this insurance in place, the renter is released of any responsibility for damages. Personal auto insurance or credit-card benefits may automatically cover rental cars, so travelers should be aware of the specifics within their own circumstances. 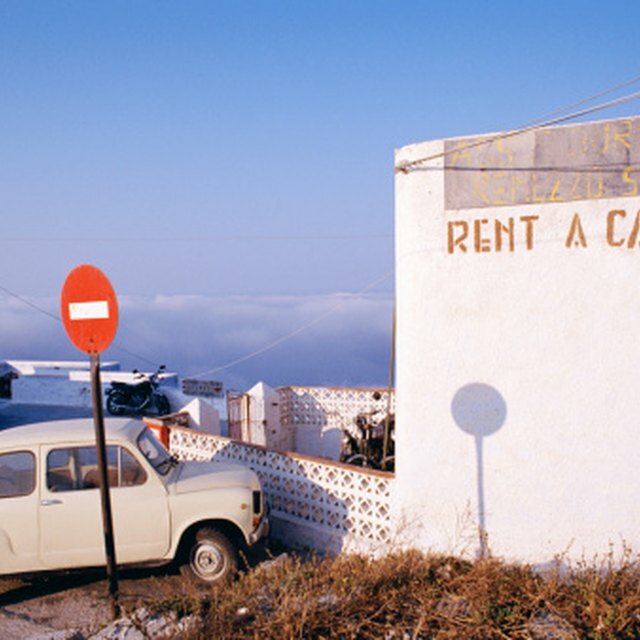 In any case, if an accident occurs and the other driver is found at fault, the rental-car agency would collect from the other insurance company. This optional insurance coverage provides an added layer of protection for the renter and other authorized drivers from third-party claims for both bodily harm and property damage. This is another type of coverage that can come either as a credit-card benefit or through an individual auto-insurance policy, so renters are advised to know these details before considering whether to accept such coverage at the rental-car counter. This optional insurance supplies both medical and accidental death coverage for the renter and any passengers in the car at the time of an accident. Some personal auto-insurance policies provide such coverage as an added benefit, and renters should confirm this before purchasing additional insurance that may not be necessary. This insurance protects against the theft or loss of personal property within the rental car. The coverage may come with caps on claims and other restrictions, so should be understood at the time of rental. Personal insurance policies often provide this coverage, rendering an additional rental-car policy unnecessary.